Floods can be tragic, we know. 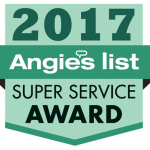 We have many customers who call us every year for the same problem. The fact is, pipes burst, walls leak, and toilets overflow. And, for some reason – these things ALWAYS happen at the worst time. Rest assured, Our Company will come out and do EVERYTHING WE CAN to clean up this disaster in your life. Our technicians and firm are IICRC certified in Water Damage Restoration! Your insurance company may recommend some companies for you to use, the fact is you are free to use any company you wish. The first visit will basically consist of (Depending on the severity of your flood) extraction, removal of padding, spraying disinfectant, and setting up a carpet dryer. If necessary, we can also remove and replace any affected baseboards and drywall. Some things you should look for between the initial visit and our final visit can be found in the FAQ section below. Minimum Charges – $150.00. Prices are Subject to Change. Prices taken from the Insurance Blue Book and are considered Acceptable. Water damage is a 2 visit process. At the time of the initial visit, we will work up a proposal for the final visit. Sewage on any soft textile should be removed and disposed of! Move any furniture from effected carpet and debris clean up are priced based on amount of time generally around $75 per man hour and will be determined and discussed prior to beginning work. Q. WHAT IF THE FLOODED AREA BEGINS TO SMELL? Answer: This usually means your carpet is still wet. Once the carpet dries, however, most of the odors should go away. Q. WHAT IF MOLD AND MILDEW GROW? Answer: The Technicians generally spray a disinfectant on your carpet at both visits, to prevent this from happening. The disinfectant will also kill anything that has begun to grow. Q. SHOULD I MOVE THE FAN? Answer: If for some reason, the fan were placed in a position where one or more areas of the carpet were not getting circulation, feel free to move it. The Technicians generally put the fan in the area that was most saturated, so if you feel as though the area they’ve put it in is mostly dry then there shouldn’t be a problem with moving it. Q. HOW LONG UNTIL SOMEONE COMES BACK OUT? Answer: Well, that also depends on the drying time. The longer it takes to dry, the longer it will take for us to come back. We cannot put your carpet back if the floor is still wet. Anything to help air circulation will help your carpet dry. Also, pay attention to the humidity level. The humidity is usually one of the biggest factors in drying time of carpets. the higher the humidity, the longer it will take for your carpet to dry. Q. WILL I KNOW THE COST OF THE SECOND VISIT? Answer: Yes. The Technicians will give you an estimated cost of the second visit after they have completed the first visit. Q. ARE THE CHEMICALS HARMFUL TO CHILDREN OR PETS? Answer: No. All chemicals used in cleaning up a flood are meant to clean and disinfect, not to be harmful. Q. WILL MY CARPET DISCOLOR? Answer: If it is a basic or standard wall-to-wall carpeting, you shouldn’t have trouble with this. In the case of oriental carpets, this is a possibility. During the flood, some of the colors on the carpet may run – this is not from our Company or the chemicals we use. This is from the carpet getting wet in general. These types of carpets are typically not to be wet cleaned. Q. HOW SOON CAN WE USE THE AREA? Answer: I would suggest as little usage of the room as possible until it is put back together. After the final visit and cleaning, try not to walk on it too much for at least 4 to 8 hours, because the carpet will be wet, and you could track dirt over it. After the carpet is completely dry, you may then resume regular use of the area. 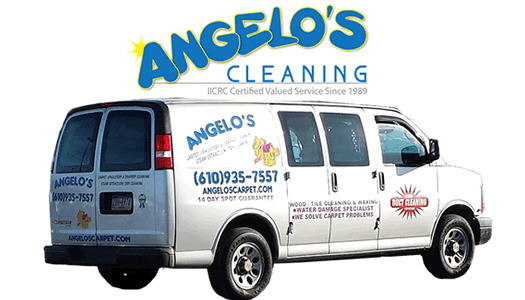 Call Angelo’s Carpet Cleaning Today! 610-935-7557 Calls Answered Personally, free phone quotes!